More weather….as of Sunday May 31st, with about 4 days till the start in Port Townsend. 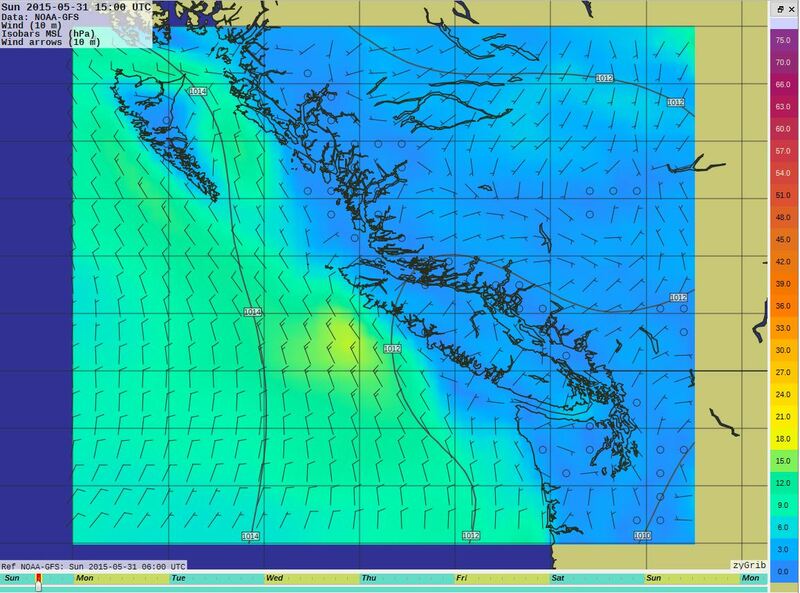 The strong westerlies have broken down over the outside coast and in Hecate Strait. 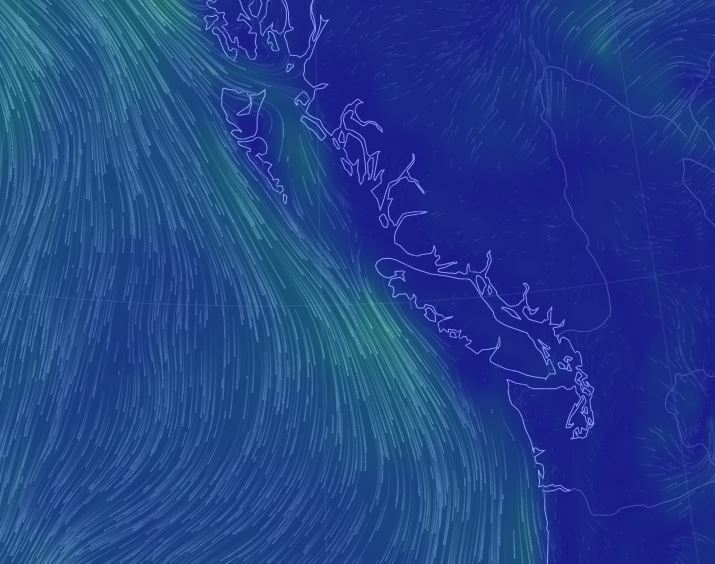 Winds are light over most of the coast right now, from the Grib file below you can see the strongest wind (Bright yellow spot) (according to NOAA) is off Brooks Peninsula. Further north the wind is blowing straight in Dixon Entrance. Race Rocks has West 12, Smith Island W2, and Discovery E2, and East Point SW5, Sand Heads zero, and Entrance SSE4. So light and disorganized, carrying up most of the coast this morning. 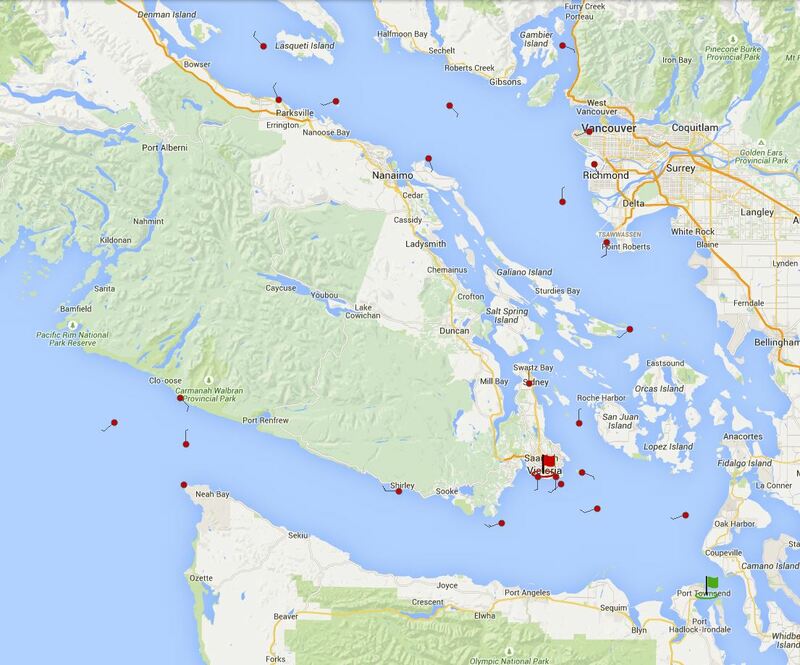 Fanny Island in the Johnstone Straits has W7 right now, but the forecast calls for 20-30 NW this afternoon. Outside in Queen Charlotte Sound at West Sea Otter it’s NW2 right now.